Arrowhead Gallery and Studio in Old Fort, North Carolina!  The Arrowhead Artists and Artisans League (A3L), Inc. is a 501(c)(3) and North Carolina non-profit corporation based in Old Fort, NC. Our mission is to promote the arts in Old Fort and surrounding communities. 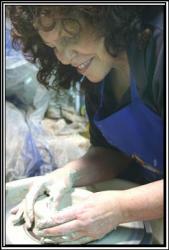 We were established in 2010 and have 45 active artists/artisans members. 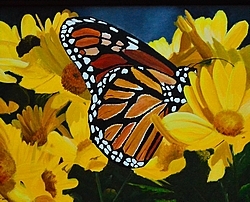 The entrance to the Gallery is approximately 2 minutes from Exit 73 on Interstate I-40. Eleven hundred (1100) square feet of the space (plus over 1000 square feet of wall space) is dedicated to the Gallery displaying A3L artists/artisans work. Another 1450 square feet is dedicated to individual artist's studios. In addition to Gallery and Studio space, AGS has a large classroom for conducting art classes and workshops. For artists who display work in the AGS Gallery, there is a small monthly exhibit fee, plus, if the artist chooses to “gallery sit”, the usual 30% commission on sales is reduced to 10%. How many hours and how often is determined by the number of artists in the Gallery. An artist does not have to have a studio to show in the Gallery or show in the Gallery to have a studio. The cost of Studio space is approximately $1.00 per square foot per month. The rental fee includes parking, wireless internet and all utilities, except any phone service that an artist may want. The cost of floor, wall, or shelf space in the Gallery is $30 per month. In making a decision, please be aware that the cost for Studio and Gallery space space may be deductible on both State and Federal Income Tax. The Gallery fee may also be deductible. (As with any business or charitable deductions, individuals should consult with their tax adviser).